To Begin Construction in 2017. Attention in the Area: The Air Warrior Combat Memorial has been approved. Constuction to begin in Summer of 2017. 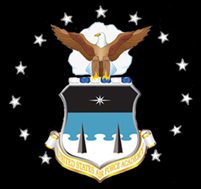 Fund raising has begun through the USAFA Endowment. Please support this important project and donate now. The AWCM has been officially approved by the USAFA Superintendent, Lt General Michelle Johnson and the construction project is being managed by the USAFA Facilities office under the direction of the Academy architect. The Academy has hired Architectural firm of HB&A and Landscape architectural firm Thomas and Thomas to develop and oversee the design and to consult with the with the class gift committee in a manner that best utilizes the site while maintaining the spirit and elements of the initial class concept. At present time, 1 February 2017, the 60% design has been completed and we are awaiting the final 90% design within the month. Once all parties are in agreement, the blueprints will be developed and the Facilities office will solicit construction bids from local construction firms to build the hardscape and landscape. The final design will also be forwarded to SECAF for final technical approval. We anticipate a bid to be awarded by 1 May 2017 provided adequate funds have been donated. Announcement from Frank Morgan posted 17 June 2016. I know it has been a long time since I updated you on the status of our 40th Reunion Class Gifts: the Air Warrior Combat Memorial (AWCM) and the two breakout rooms in the nearly completed Center for Character and Leadership Development (CCLD). While the CCLD portion of the gift has been pretty straight forward, the AWCM saga has been just the opposite. There were many times that I started an email to the Class with a position report, only to be thwarted by another “course correction.” I am not going to go down that road in this email, but if you want to read about the entire journey, go to AirWarrior.org, where Jim Nance has done a wonderful job of chronicling that adventure. The good news is that we are finally there after four years! A modified version of the original AWCM concept has been approved by the USAFA Memorial’s Board and the Superintendent, and we have an excellent location as the center point for the new “Aviation Park” located behind the B-52 at the North Gate. Again, all the details of the location and the new design are at AirWarrior.org. So, now we come to the fun part…paying for these babies. The CCLD gift is still going to be about $200 (or which we have already raised over $57K) and the AWCM should come in at about $750K (final estimates have not been received at this time). All in all, we are looking at around $1M for our total fundraising goal, which is not trivial, but very achievable. The USAFA Endowment is going to guide us through the process of collecting donations, and will present several options for making a donation. It will be painless! You will be getting more details about that soon, as it is imperative that we start the wheels moving this year if we want to meet our goal of being able to dedicate the AWCM at our 45th Reunion in the Fall of 2016. However, for the eager beavers in the crowd who have end of year dollars burning a hole in their checkbooks, you can always go to AirWarrior.org and place a donation for either the AWCM, the CCLD, or both! This has not been an easy undertaking. I want to thank all of you for your patience in standing by our decision to go forward with these gifts despite the many obstacles that were put in our way. I want to especially thank Jim Nance for the many hours he has spent revising plans, re-doing presentations, and reorganizing websites. At the end of the day, as we stand as a Class, beer in hand, at the dedication ceremony next Fall, I have no doubt you will agree that it was worth it. For the past three years the Class gift steering committee, headed by our President Frank Morgan, has been hard at work on the memorial design, seeking official approval, and locating the best site. As many of you know, the first site we considered was the Association of Graduates Heritage Trail. 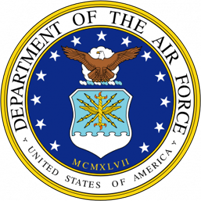 While we had wide spread support, the main obstacle was that the AOG Heritage Committee had a unwritten policy which reserved honors on the Heritage Trail for USAFA graduates only. With Robin Olds, a non grad, as part of our design, there was some resistance. In December of 2012 we made a formal appeal to the AOG board which was reluctantly disapproved by a narrow margin. The basis of their disapproval was that regardless of the written policy, the original intent of the classes who donated to the Heritage Trail was to create a site for grads only. After receiving a fair hearing, we gracefully accepted that decision and agreed with the logic. During that lively debate, we asked you to write the AOG board and hundreds of emails were received in our support from all classes. This incredible outpouring of support was gratifying and critical to the overall success of this project. In recognition of this powerful member mandate, the AOG board voted a unanimous resolution to support our design with Robin Olds at another location at the Academy, to be determined. In January 2013, we then visited with Superintendent Lt. General Michael Gould and his staff and briefed him on the memorial and our desire to honor Robin Olds. At that time we suggested placing the memorial in the center of the Air Gardens. Although our meeting with General Gould was warm and receptive, the Air Gardens did not prove to be a good choice for two reasons. First is that only the Cadets would be able to view the memorial, not the public. Second and most critical is that the Cadet area is on the Colorado state and federal register of National Historic Places and approval from these agencies might take many years and be beyond the control of the Academy staff. With our desire to dedicate this memorial on our 45th reunion, this option was not workable. Following General Gould's advice and encouragement, we enthusiastically accepted his offer of placing the AWCM in the new "Heritage Park" to be constructed as part of the Falcon stadium renovation. On 1 August 2013, we had received all AF approvals. Unfortunately before we could finalize the design the Stadium renovation project was reluctantly placed on indefinite delay for budgetary restrictions by Superintendent Lt. General Michelle Johnson. In 2014, as an alternative, we were offered a site at the Thunderbird overlook next to the airfield. After submitting an updated design we received approval. Shortly afterward, the Academy Memorial board decided to relocate the overlook aircraft to the B-52 park. This wise decision was motivated by the increased security restrictions on base which places the overlook inside the restricted area. With the unwavering support of General Johnson and her staff, we were offered a choice site at the B-52 park which we eagerly accepted. Our proposal was officially approved in August of 2015. The approved site is in the B-52 Park located close to the North gate, located several hundred feet to the East of the B-52. We have been generously granted the entire traffic circle which is 132 feet in diameter and 13,721 square feet of area with the provision that we develop it into an AWCM park which will create an inviting destination and inspirational experience for the visitor. This is the single best location on the Academy for public exposure. With recent security concerns, much of the base is off limits to the public, even Doolittle hall on occasion. The B-52 has long been the sole exhibit at this expansive, beautiful, park like setting. The AWCM will be the second; and as a memorial, it will provide the centerpiece for the park's new theme of Air Combat. The AWCM will also serve as a catalyst for more classes to develop the park. With the new visitors center being developed close by, just outside the North gate, we are convinced that this location will soon become a huge tourist attraction and will create maximum exposure for our memorial. The B-52 park master plan, developed at the Academy's architect office, will add other aircraft and memorials. The two aircraft at the "Thunderbird Overlook" by the airfield, which is currently inside the security perimeter, will soon be relocated to the B-52 park. Other plans include relocating the memorial wall from the cemetery to this park. We are honored and excited about this location and consider it the very best and most visible site for our AWCM. We are deeply grateful to Academy Superintendent Lt. General Michelle Johnson for her warrior support of our project and her visionary leadership in developing the B-52 park as a tribute to all air warriors. "USAFA Class of 1971 AWCM"